In Torys’ 2011 Capital Markets Mid-Year Report, we wrote about cross-border income funds (CBIFs) – specifically, how the CBIF structure presents an option to entities focused on investing exclusively in foreign businesses or income-producing assets to offer an investment product that delivers yield to investors on a tax-efficient basis. A CBIF is essentially a Canadian income fund, trust or partnership that would otherwise be a SIFT entity (specified investment flow-through entity, which is subject to corporate tax rates on distributions that are derived from income and gains from non-portfolio properties) except that it owns no non-portfolio properties, primarily because the underlying business and properties are located outside Canada. 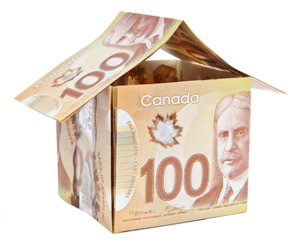 "Non-portfolio property" is defined in the Income Tax Act (Canada) to be (i) a security in a "subject entity," other than an entity that is a portfolio investment entity; (ii) a Canadian real, immovable or resource property; or (iii) a property that the entity uses in the course of carrying on a business in Canada (emphasis added). A subject entity is generally a Canadian corporation, trust or partnership. A portfolio investment entity is an entity that does not own any non-portfolio property. Of importance, then, is that a Canadian corporation, trust or partnership that itself owns no non-portfolio property (because it ultimately owns only securities of a non-Canadian entity that carries on business solely outside Canada) will be a portfolio investment entity so that its securities, when owned by a CBIF, would not be non-portfolio property to the CBIF, and the CBIF will therefore not be a SIFT. In our 2011 report, we mentioned two initial public offerings by CBIFs in the energy sector – Eagle Energy Trust and Parallel Energy Trust. Since then, among other CBIFs, Dundee International REIT completed its initial public offering (in August 2011), Slate U.S. Opportunity (No. 1) Realty Trust completed its initial public offering (in April 2012) and Pure Multi-Family LP recently filed (in May 2012) a preliminary prospectus for its initial public offering. To recap, in October 2006, the Canadian government introduced rules that provided that most publicly traded trusts and partnerships falling within the definition of a SIFT trust under the Income Tax Act (SIFTs) would be taxed at corporate tax rates with respect to distributions made to unitholders, generally other than distributions that are returns of capital. These so-called SIFT rules essentially eliminated the income fund market as a viable yield investment structure for most entities after the four-year holiday that ended in December 2010. As part of the SIFT rules, an exception was provided for entities that invested exclusively in specific types of real estate and earned the vast majority of their revenue from those investments (or closely related investments). Generally, to qualify for the "real estate investment trust (REIT) exception" in a particular taxation year, (i) the SIFT must at no time in the taxation year hold non-portfolio property (other than "qualified REIT properties"); (ii) not less than 95% of the SIFT’s revenue for the taxation year must be derived from one or more of the following: rent from real or immovable properties, interest, capital gains from the disposition of “real or immovable properties,” dividends and royalties; (iii) not less than 75% of the SIFT’s revenue for the taxation year must be derived from one or more of the following: rent from real or immovable properties, interest from mortgages, or hypothecs, on real or immovable properties, and capital gains from dispositions of real or immovable properties; and (iv) at no time in the taxation year may the total fair market value of properties comprising real or immovable properties, cash, deposits in a bank or credit union, indebtedness of Canadian corporations represented by banker’s acceptances, and debt issued or guaranteed by governments in Canada be less than 75% of the "equity value" of the SIFT at that time. Under tax proposals released in December 2010 (December 2010 Proposals), which apply for taxation years beginning in 2011 (or for earlier years if elected), the REIT exception will be favourably modified so that under (i) in the previous paragraph, a SIFT may hold some non-portfolio properties that are not qualified REIT properties, provided that at all times in the taxation year at least 90% of the total fair market value of all non-portfolio properties held by the SIFT are qualified REIT properties; under (ii) in the previous paragraph, the test will be reduced from 95% to 90%, and gains from dispositions of certain non-capital property that is "eligible resale property" will be added as qualifying revenues for purposes of that test; and under both (ii) and (iii) in the previous paragraph, the revenues to be measured will be "gross REIT revenues," which will be defined as gross revenue and will include capital gains; and an additional requirement would be added as follows: (v) investments in the SIFT must at any time in the taxation year be listed or traded on a stock exchange or other public market. Under the SIFT rules, "qualified REIT property" of a SIFT means, generally, a property held by the SIFT that is (i) a real or immovable property; (ii) a security of an entity that derives all or substantially all of its revenues from maintaining, improving, leasing or managing real or immovable properties that are capital properties of the SIFT; (iii) a security of an entity that holds no property other than legal title to real or immovable properties of the SIFT and property ancillary to the earning by the SIFT of rents and capital gains from real or immovable property; or (iv) a property ancillary to the earning by the SIFT of rents and capital gains from real or immovable property. As stated in last year’s mid-year report, a REIT that owns exclusively non-Canadian real estate could qualify as a CBIF and therefore would be entirely exempt from the application of the SIFT rules; consequently, it would not have to concern itself with the REIT exception. Dundee International was the first REIT established as a CBIF; its stated purpose is to invest in commercial real estate located exclusively outside Canada, with a focus on investments initially in Europe. To date in 2012, Slate U.S. Opportunity (No. 1) Realty Trust, an unlisted, “blind pool” trust formed to acquire, own and lease a portfolio of diversified revenue-producing commercial real estate properties in the United States, with a focus on anchored retail properties, has completed its initial public offering, and Pure Multi-Family has been formed to invest in multi-family real estate properties in the United States. Of course, establishing a REIT as a CBIF is the relatively easy part – generally, all it needs to do is invest exclusively outside Canada. The hard part is structuring its affairs in the foreign jurisdiction so that it can repatriate its earnings from its foreign holdings in a tax-efficient manner. In addition, in most cases, for REITs structured as CBIFs to be comparable to traditional REITs, we would expect them to list their units and pay distributions in Canadian dollars (though that is not the case with Pure Multi-Family); this would give rise to the need for such CBIFs to hedge their exposure to currency fluctuations. We think these reasons alone help explain why there has been a dearth of CBIFs and, in particular, REIT CBIFs (particularly when compared with the vast number of initial public offerings that were undertaken in the heyday of the pre-2006 income fund market). In the end, therefore, although we certainly expect there to be more REITs structured as CBIFs in the coming months and years, given the complexities noted above, we aren’t expecting a groundswell of transactions. To answer our question, we don’t foresee CBIFs as the panacea to the government’s Halloween pronouncement in 2006 for real estate investment trusts however, there is certainly an underutilized opportunity for the right entities to gain access to the Canadian capital markets to feed Canadian retail investors’ seemingly insatiable appetite for yield-based investments.